Property Maintenance Manager: SHOCKING CRIMSHIELD SURVEY! 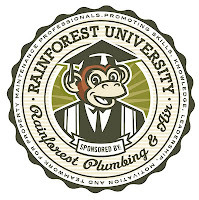 UPDATE: Rainforest Plumbing & Air continues to use CrimShield for pre-employment and annual background certifications. ALL employees must be crime-free certified. This is our "No Monkey Business" concept. You can read more about our crime-free attitude at www.nomonkeybusiness.com. The criteria is all laid out there. Much of our service is done for multi-housing (apartments and condos), and care facilities as well as other commercial and residential properties. These are places where people live and work and security is a basic expectation. Our customers appreciate that we pay attention to the problem of criminal employees working for vendors. CrimShield recently published a survey that 40% of employment candidates, who were NOT CERTIFIED because of a criminal record, have since become repeat offenders. We sure are glad that these people were rejected from our employment ranks. I'm sure our customers (Property Managers and Property Maintenance Managers) feel the same.